Although many may not know Chan Wing Chun (陳榮峻) by name, the green-leaf actor is easily recognizable by the young and old, having appeared in many TVB dramas through the years. 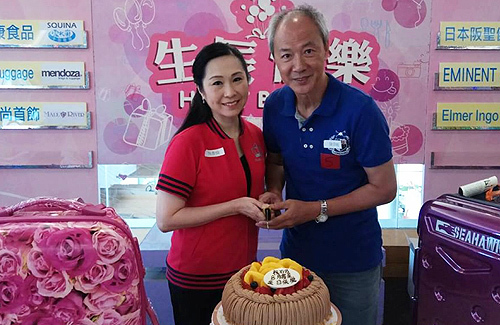 At 62 years old, Chan Wing Chun is set to marry his fellow green-leaf actress and singing teacher, 57-year-old Helen Ng (吳香倫). 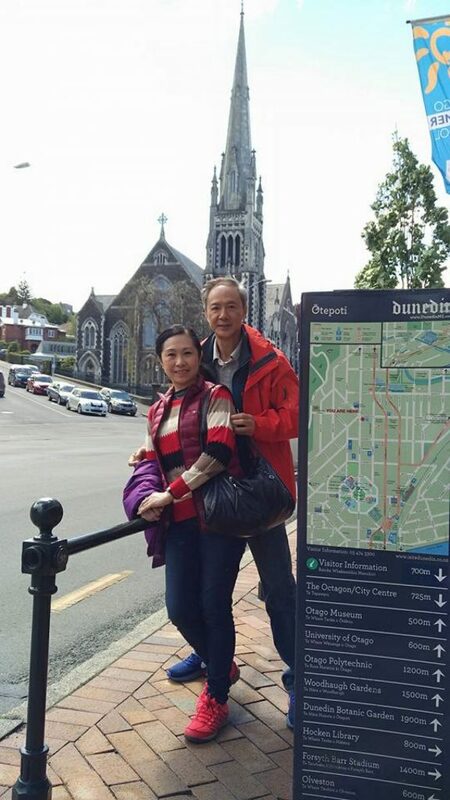 After being together for more than two years, Chan Wing Chun felt it was time to get married. This will be Chan Wing Chun’s second marriage and Helen’s first. In 2010, Chan Wing Chun’s wife, Cheng On Lai (鄭安麗), unexpectedly passed away due to a stroke. 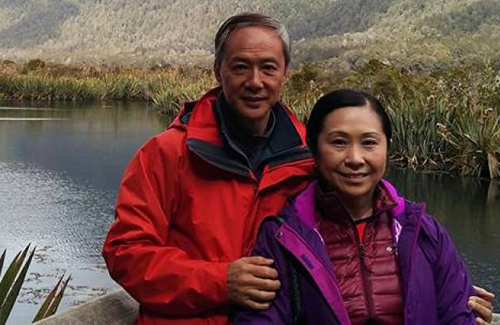 Having been married for 29 years, Chan Wing Chun nearly broke down. At one point, he even contemplated suicide, but could not bring himself to leave his children. Instead, he chose to live his life day-by-day, believing that his time will come as fated. Chan Wing Chun has been in TVB dramas for over 30 years. It’s rare to come across his news. It was quite sweet to hear of his love story with Helen Ng. Although they met late in life, they can now solely focus on each other as Chan’s kids have already grown up. Marriage at this age will allow them to truly enjoy each other’s company without the stress of raising children, which typical couples go through. I LOVE reading things like that! Happy that he found someone after his wife passed away. Always like him as an actor so it’s very sweet to read this. Wishing them both happiness for sure! I’ve always thought Helen Ng and Nancy Wu had similarities in their faces, she could so pass as Nancy’s mum in a drama! Awww, sweet! I’m happy for Chan Wing Chun, as I remember how devastated he was when his wife died back in 2010 and if it wasn’t for his kids, he probably would not have found the will to continue on. Another veteran whose career I’ve been following since the 80s, I know Chan Wing Chun is a good man and he absolutely deserves happiness. Congrats to him and Helen and wish them all the best! It was a coincidence that I came across this video of Chan Wing Chun earlier today. https://m.youtube.com/watch?v=LXfN4YGZE1U At his peak, Chan Wing Chun was dashing in his ancient costume alongside Michael Miu in Chor Lau Heung. @jimmyszeto Yup…the Chor Lau Heung role was the most representative of his career and really was the role that made him a household name. I read an interview that he did recently where he said that he was the one who asked TVB to give him villain roles rather than 2nd lead roles because he felt he had more chance to hone his acting with villain roles and he prefers that over being lead….kind of a shame since his acting is so good, but if that’s what he prefers and he’s happy with it, then I’m fine with it. That interview was also particularly moving because he talked about his wife’s death and also his friendship with Felix Wong. I love hearing about green leaf artists such as Chan Wing Chun who rarely get mentioned in mainstream media entertainment news, especially since, oftentimes, their stories are the ones that are most touching and heartwarming. I have to admit I was attracted to his good looks when I was younger and always wondered why he never made it to first lead. Turns out, he’s the one who push the opportunity away. Such a waste. I wonder if he has other means of supplementing his income since TVB’s salary is so low and he prefers to stay as green leaf. Many TVB actors depends on their fame to get outside jobs. Any congrats to him for finding new love. @llwy12 That’s such a shame. With his height and looks, he could’ve easily stepped into first lead roles in the 80s/90s. I remember him most from “Hap Hak Hang” as one of the two sworn brothers of Tony’s. When Bobby (the other sworn brother) was cast as lead in Files of Justice and Chan had a smaller part in it, I remember my mum commenting on how surprising it was that Bobby made it big as Chan was the better looking of the two. @anoninhk Ah yes, I remember him in Hap Hak Hang too! He and Bobby lit up the screen in that series and I loved all their scenes with Tony – they were 2 of my favorite characters (aside from Tony’s Shek Chung Yuk and Sheren’s Ding Dong of course) and I remember getting a little teary-eyed at the end when the 2 of them sacrificed themselves for Tony. LOL…agreed that Chan Wing Chun was better-looking back then (though Bobby wasn’t too bad actually – he looked pretty decent in ancient costume, lol) – he also was quite charismatic on screen too…his most memorable performance in my book will always be in The New Adventures of Chor Lau Heung (the Michael Miu version from 1984) where he played Michael’s friend and “pseudo-sidekick” Wu Tiet Fa – he was absolutely charming and actually held his own quite well considering that series had so many great actors in it (including 2 handsome and talented co-leads in Michael Miu and Simon Yam). @llwy12 I loved Bobby in Hap Hak Hang! I really didn’t think he was a much of a looker back then but you’re right, he oozed onscreen charisma. I watched that series so many times as a kid. It was my all time favourite and I still remember most of the scenes vividly. Loved, loved, loved Tony and Sheren!! I didn’t watch the Michael Miu version of Chor Lau Heung but I googled Chan up in it, and do think he really was very dishy in it, more so than Michael himself I would say! Showbiz really is a game of timing, luck and connections. I’m so glad he is content with his life now. @anoninhk Yea, Tony and Sheren were wonderful in that series! Tony playing 2 very different characters in the series was a piece of cake for him of course given his acting skills, but I remember being really impressed with Sheren, since her character in the series was so different from the more “serious” characters she usually played – definitely showed her range as an actress! Hap Hak Hang was Tony’s very last series at TVB, so for that reason alone, it’s already worth watching, though for me, I loved seeing Tony and Sheren finally getting a good ending onscreen (after not ending up together in their 2 previous collaborations). Omg, you definitely need to watch Michael Miu’s version of Chor Lau Heung – that was such a classic series (iconic too)! I re-watched it for the umpteenth time a few years back (finally opened the special edition DVD box set I had bought several years prior) and I still loved it as much as I did back in the old days. All-star cast, well-written script (adapted from 2 of Gu Long’s famous novels), plus stellar acting and excellent direction, the series is yet another reminder of why TVB in the 80s was so great (though in my case, as usual with many of these classics that I re-watch, I get a little sentimental when I see all the artists I grew up with who’ve left us over the years – Barbara Yung, Austin Wai, Kwan Hoi San, etc.). Yes, Chan Wing Chun was indeed dashing in here, lol – I loved his pairing with Sharon Yeung, which actually says a lot given how iconic her pairing with Michael Miu in Legend of the Condor Heroes was. If you’re able to find the Chor Lau Heung series, definitely watch it, as there are too many wonderful performances in it to pass up! What a lovely story. I quite enjoy Chan Wing Chun’s acting and Helen seems like a good woman. Glad they have each other as companions. thats so sweet! wish them all the best ! It’s always heartwarming to hear when people find love again. Chan Wing Chun is a great actor and does not get nearly as much recognition as he should. Definitely versatile as he can pull off both nice guy and villain roles. I always thought she looked beautiful for a woman as her age and it sounds like she’s a good daughter too because she have to take care of her mom and no time for a dated so glad she’s finally found someone who she truly in love with hopefully they will last long. I think both of them are a great actors too glad he’s Happy again. Such a lovely story. Didn’t know that they’re a couple but they have the 夫妻相，they look alike. He was a handsome man in his prime. at 62 and with his children’s blessing, they should be together. Helen also deserves someone who loves her.